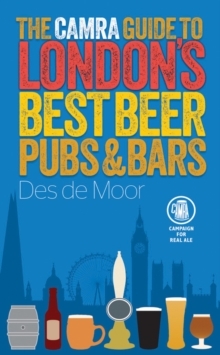 CAMRA presents the essential guide to beer drinking in London, completely revised for 2015. London's Best Beer, Pubs & Bars is packed with detailed maps and easy-to-use listings to help you find the best places to enjoy perfect pints in the capital. Laid out by area, the book will be your companion in exploring the best pubs serving the best British and world beers Additional features tell you more about London's rich history of brewing and the city's vibrant modern brewing scene, where well-known brands rub shoulders with tiny micro-breweries, and brewery numbers have more than doubled in the last three years. The venue listings are fully illustrated with colour photographs and include a variety of real ale pubs, bars and other outlets, with detailed information on opening hours, local landmarks and public transport links, to make planning any excursion quick and easy. This book won the author the British Guild of Beer Writers gold award for Best Beer & Travel Writer in 2015.